In celebration of the Persian New Year, also known as Norooz, the Library of Congress has digitized and made available online for the first time the Rare Persian-Language Manuscript Collection, which sheds light on scientific, religious, philosophical and literary topics that are highly valued in the Persian speaking lands. This collection, including 150 manuscripts with some dating back to the 13th century, also reflects the diversity of religious and confessional traditions within the Persian culture. From the 10th century to the present, Persian became the cultural language for a large region stretching from West Asia to Central and South Asia. Today, Persian is the native language spoken in Iran, Afghanistan, Tajikistan and some regions of Central and South Asia and the Caucasus. The unique manuscripts feature beautifully illuminated anthologies of poetry by classic and lesser known poets, written in fine calligraphic styles and illustrated. 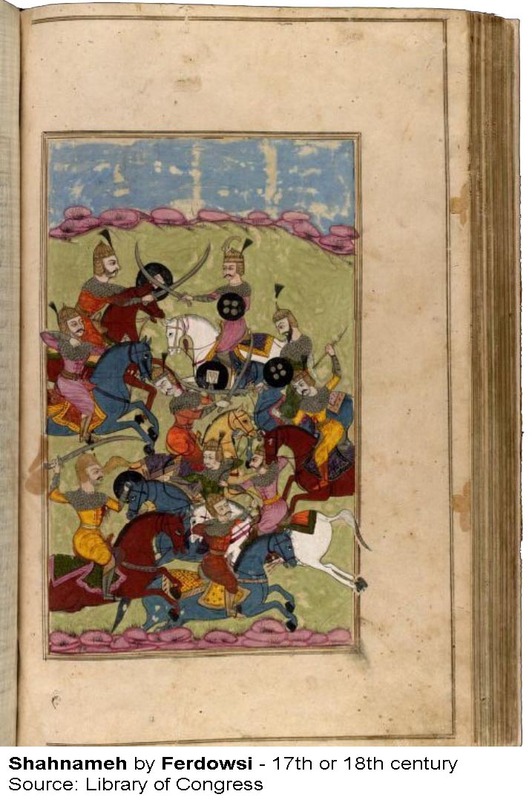 It includes the Shahnamah, an epic poem that recounts the history of pre-Islamic Persia. Also, it contains the most beloved poems of the Persian poets Saadi, Hafez, Rumi and Jami, along with works of the poet Nizami Ganjavi. One of the historic materials addresses the life of Shah Jahan (1592-1666), a ruler of India from the Mughal dynasty, during whose reign the Taj Mahal and other architectural wonders were built. Other items highlight a gold leaf map that clearly demonstrates how the world was viewed in the medieval Islamic period and Quran manuscripts with Persian explanations and elaborate calligraphy. The collection was digitally preserved by the Library of Congress at Rare Persian-Language Manuscript Collection. "These rare Persian-language manuscripts clearly reflect the diversity and cosmopolitan nature of the collection," said Hirad Dinavari, reference specialist for the collection at the Library's African and Middle Eastern Division. "Since many of the items originate in India, Central Asia, the Caucasus and regions under Ottoman rule, in addition to the native Persian speaking lands of Iran, Afghanistan and Tajikistan." In addition to the manuscripts, the Library will expand the Rare Persian-language Collection with lithographs, early imprint book and Islamic book bindings in the following months. Most of these Persian manuscripts and lithographic books were procured for the Library in the 1930s by Kirkor Minassian (1874-1944), a renowned dealer in fine Islamic and Near Eastern arts. The Minassian acquisitions included treasures from the entire Middle East with rare books and manuscripts in Arabic, Persian, Turkish and Armenian languages. The Library's African and Middle Eastern Division showcased over 40 of these rare Persian manuscripts and lithographic books for the first time, for the public to see, in the exhibition "A Thousand Years of the Persian Book" between March 27, 2014 and September 20, 2014. 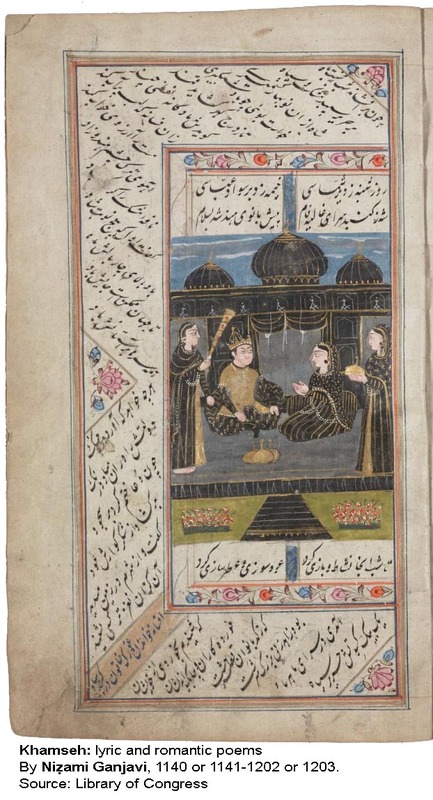 The Rare Persian-Language Manuscript Collection reflects advancement toward a goal in the Library's new user-centered strategic plan to expand access, making unique collections, experts and services available when, where and how users need them. Learn more about the Library's five-year plan at loc.gov/strategic-plan/. The African and Middle Eastern Division (AMED) was created in 1978 as part of a general Library of Congress reorganization. AMED consists of three sections - African, Hebraic and Near East - that cover 78 countries and regions from southern Africa to the Maghreb and from the Middle East to Central Asia and the Caucasus. The Library of Congress is the world's largest library, offering access to the creative record of the United States - and extensive materials from around the world - both on-site and online. It is the main research arm of the U.S. Congress and the home of the U.S. Copyright Office. Explore collections, reference services and other programs and plan a visit at loc.gov, access the official site for U.S. federal legislative information at congress.gov and register creative works of authorship at copyright.gov.